The best value in America may be the Senior Pass for National Parks (formerly known as Golden Eagle Passport). 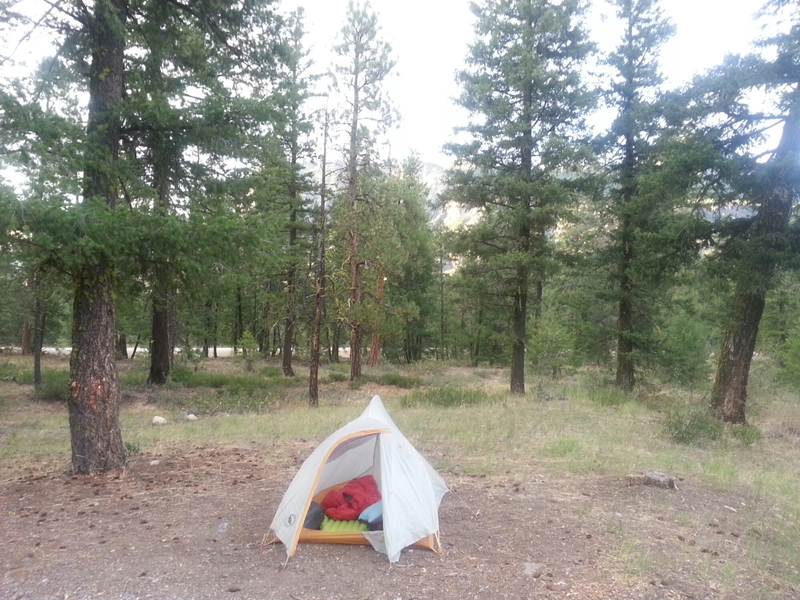 For $10 you get a permanent card which grants you access to National Parks, monuments, federal recreation areas and discounted camping in National Forests. This card has paid for itself ten times over, just on this trip. 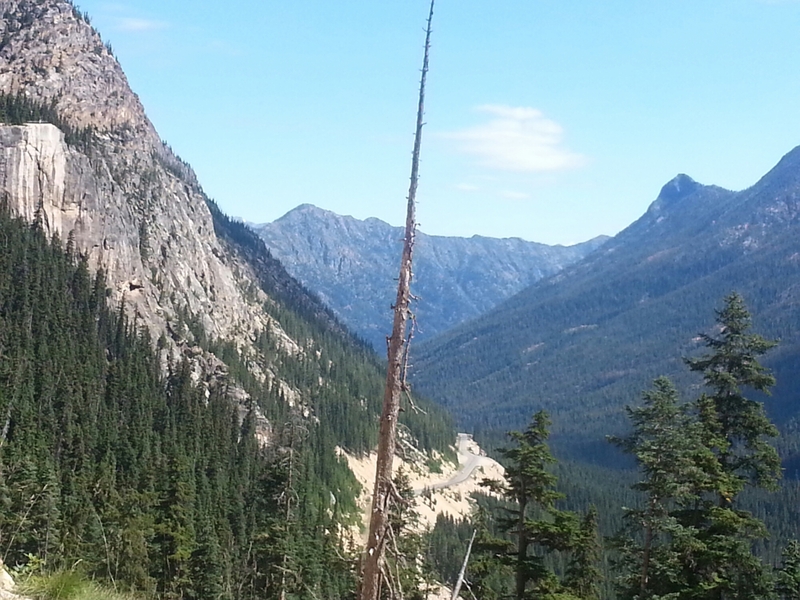 After leaving Coeur D’Alene, I headed for Highway 20, the route across the North Cascades, climbing over passes at 77 degrees and dropping into valleys at 100 degrees. Guess which I liked best. The mountains are rugged and beautiful. 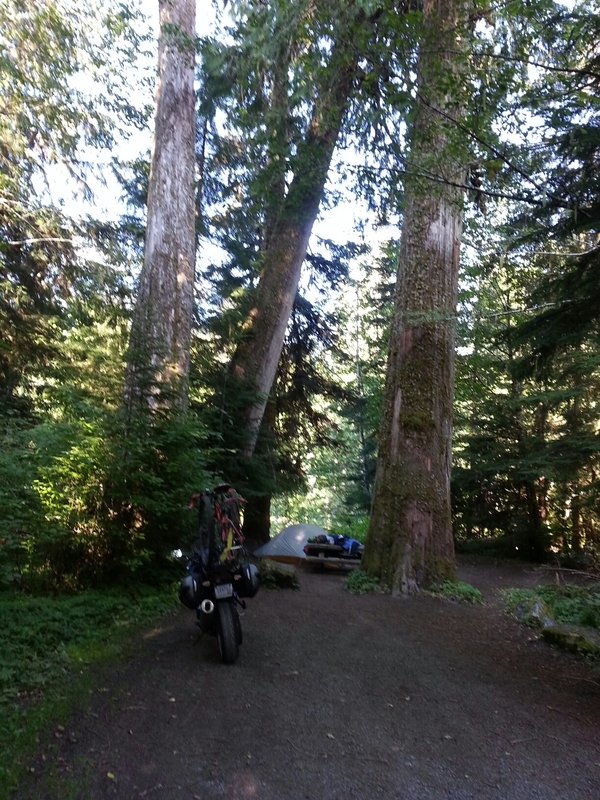 The smells of pines is so rich from the seat of a motorcycle. 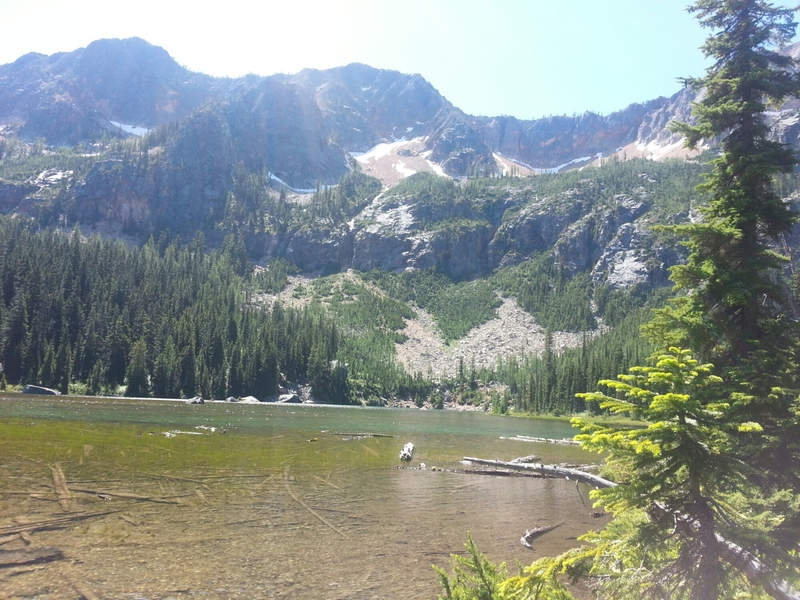 I spent parts of three days riding, biking and hiking in the National Forest lands. 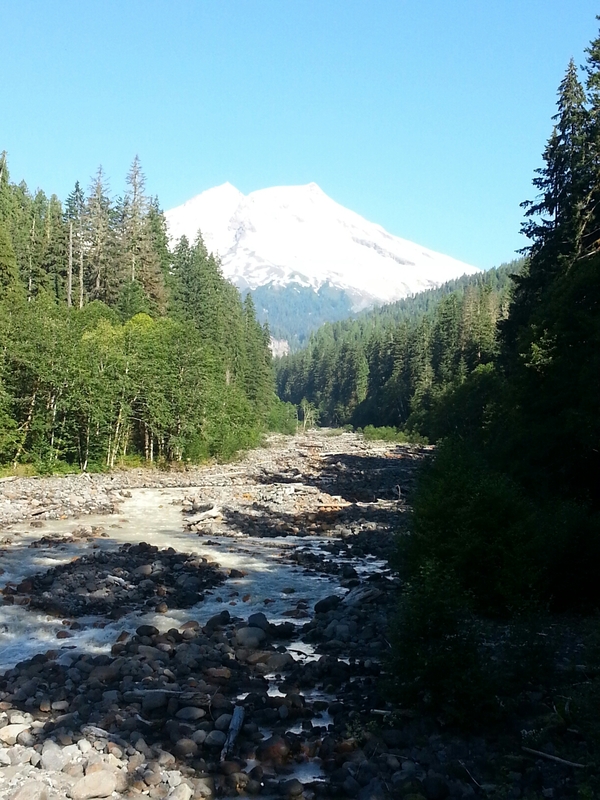 So much spectacular scenery, almost overwhelming.I rode the mount Baker scenic byway up to the alpine meadow above Mount Baker ski resort, a twisty road not unlike the alpine passes in Europe. The reward at the top was 360 degree views of snow capped mountains, and Canada. Today enters phase two of my adventure, getting to Seattle for Caitlin’s wedding. 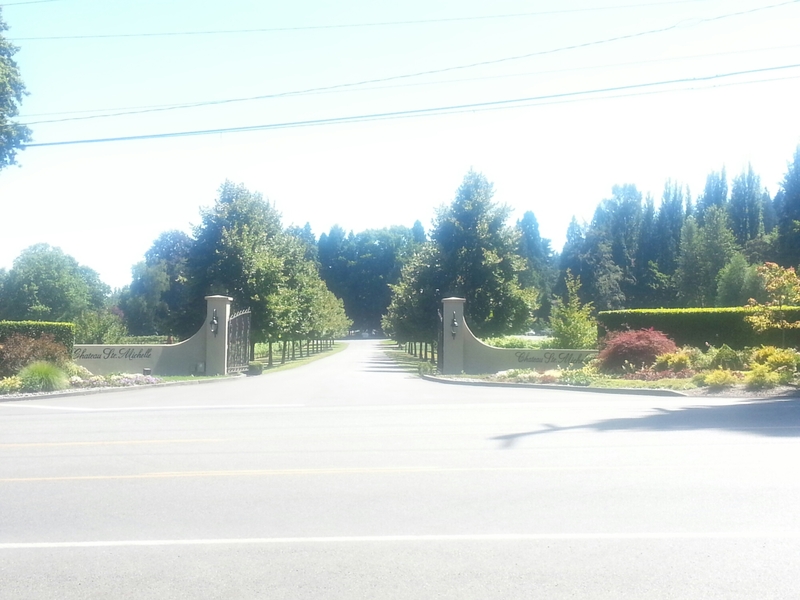 I’m staying in Bothell, the wedding is in Woodville, quite literally across the road from Chateau St. Michelle winery. After the wedding, San Juan Islands.